This is an exciting bread with a taste of both bacon, cheese and mustard. The bread tastes deliciously with pasta and soups. 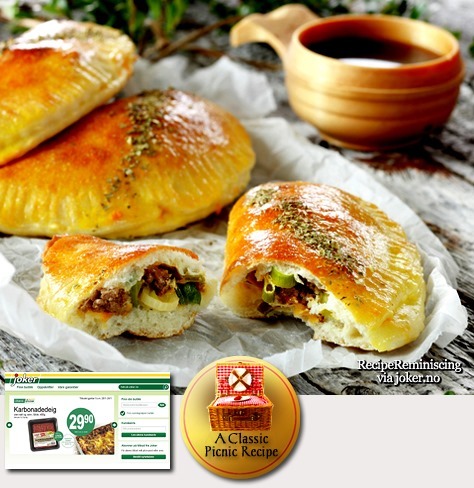 To achieve a good result you should knead the dough thoroughly and for a long time. 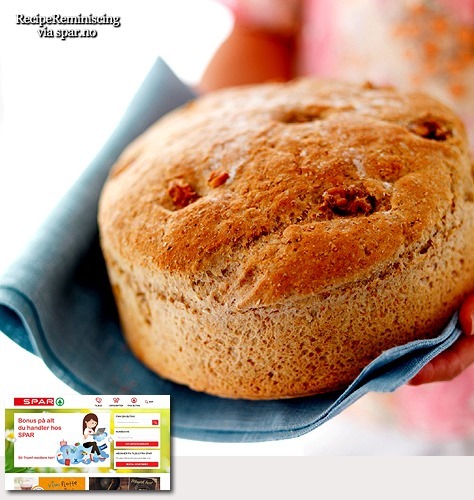 For this recipe you get two loaves, so you need two bread moulds. 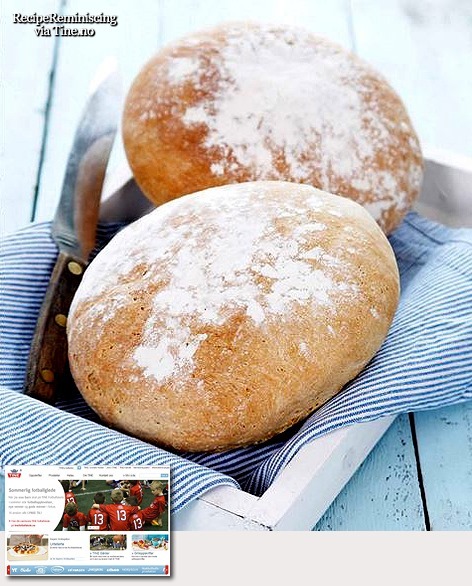 Tip: Brush the loaves with water/milk and sprinkle with some grated cheese if you have some to spare, before baking. 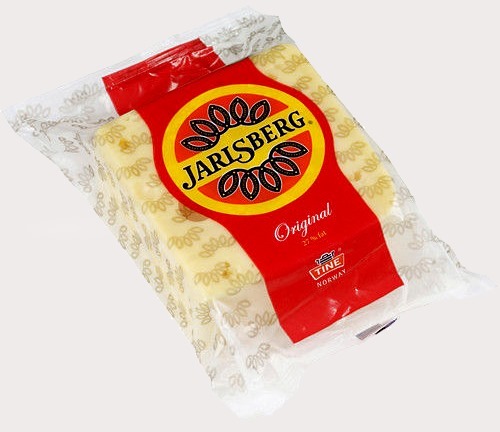 Jarlsberg /ˈjɑrlzbɜrɡ/ cheese is a mild cow’s–milk cheese with large regular holes, commonly referred to as “eyes”, that originates from Jarlsberg, Norway. 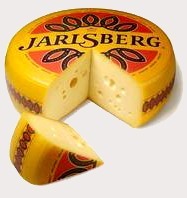 Jarlsberg cheese has a yellow-wax rind (outer layer) and a semi-firm yellow interior. It is a mild, buttery cheese. The flavour is “clean and rich, with a slightly sweet and nutty flavour.” It is an all-purpose cheese, used for both cooking and eating as a snack. It has a characteristic smooth, shiny-yellow body, and a creamy supple texture. It is aged a minimum of one year and is distinguished by medium to large holes. The history of this cheese can be traced back to the middle 1850s. Anders Larsen Bakke (1815–1899), a farmer and pioneer in Norway’s dairy industry, produced cheese in the Våle village in what was then the county of Jarlsberg and Larviks Amt (now Vestfold), 80 km south of Oslo. The cheese shares similarities with Emmental, introduced to Vestfold by Swiss cheese makers during the 1830s. The cheese was first noted in the annual county report of Jarlsberg and Larviks Amt in 1855. 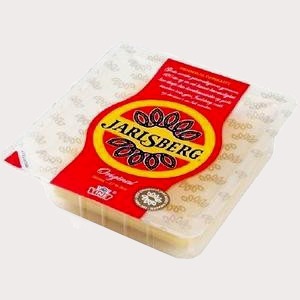 After a several years of popularity marked by a large volume of production Jarlsberg disappeared from the market. 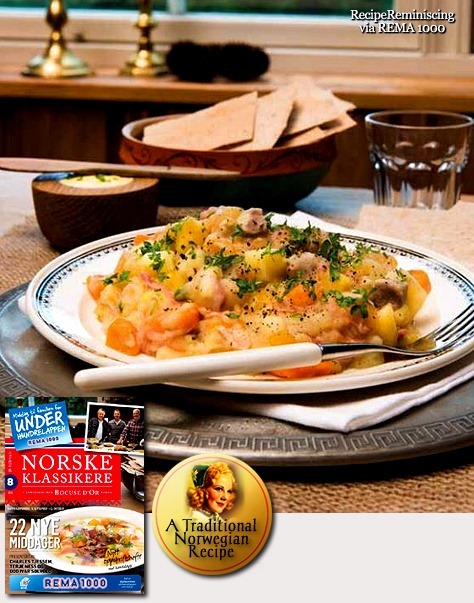 A classic Danish lunch/evening meal made in 20 minutes. A good example of the simplicity, yet deliciousness that often is the characteristics of a traditional Danish dish. 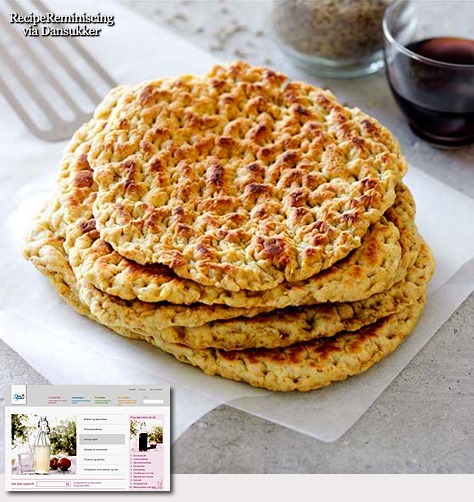 Swiss peasant bread goes very well with soups and salads, but is almost unbeatable baked for en evening meal with a little butter and some Swiss cheese. Rye makes bread extra juicy and durable. 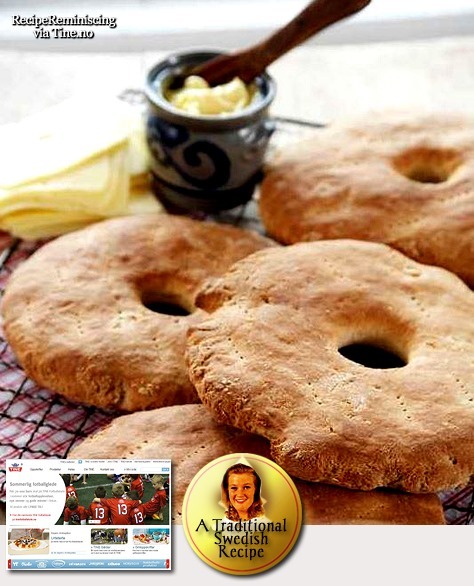 Tip: A fun way to let the loaves rise is to put them in a basket so they get a patterned from the weave in the basket. 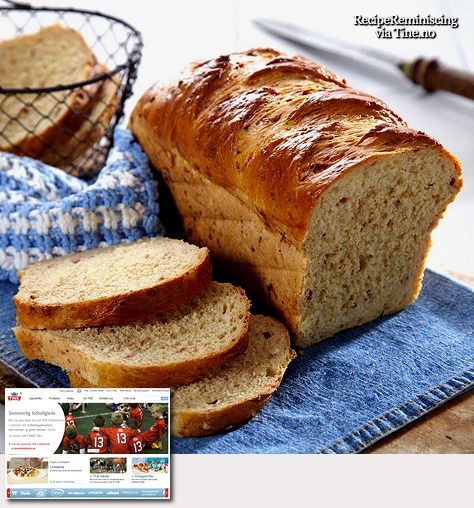 Brush loaves and sprinkle a lot of flour in the basket before you put the dough in it to rise. Make sure you have enough flour so the dough does not cling to the basket as you vault loaves out. 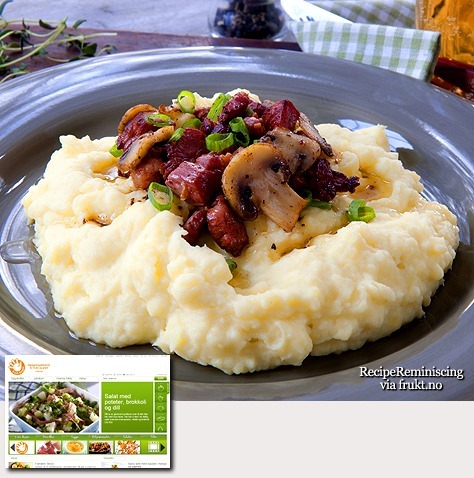 Burning love consists of mashed potato with grated cheese and broth, served with roasted mushroom, bacon, leeks and chives. 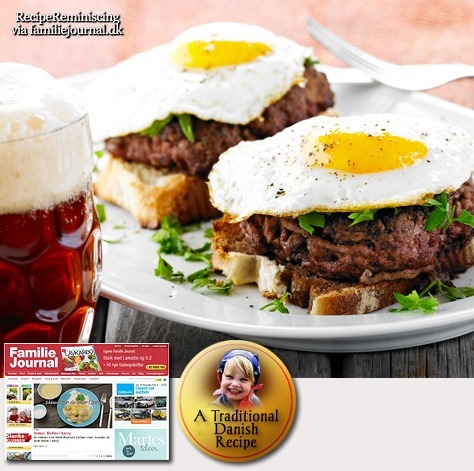 Quick, easy and very, very good! 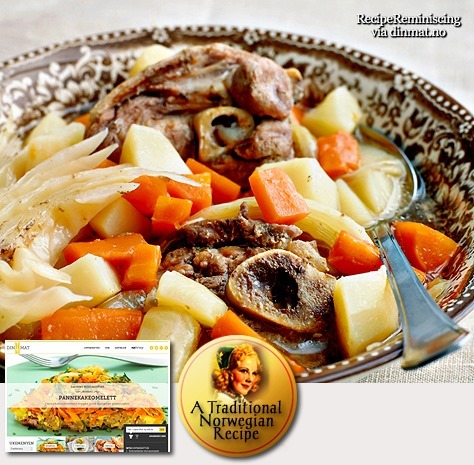 This dish comes from Bergen but it is very similar to Irish Stew and it is not quite unlikely that the stew has found its way across the North Sea to the Norwegian west coast at one time. The strong bonds between The British Isles and Norway runs all the way back to the Viking era. Rug is a cereal that provides a rich, juicy flavour, and bread baked with rye has a longer shelf life. These rye cakes are from a very old Swedish recipe and are great to serve piping hot with butter, cheese or jam with a cup of tea or coffee. They are also well suited to serve with a soup or a good salad. Bye the way, the whole in the middle of the cakes were for putting a wooden rod through them and hanging them from the roof to keep them away from mice and rats. Tip: There are a lot of good bread you can bake with rye. There are both coarser to finer mill qualities. If you find rye bread a bit heavy and compact, try baking it with sourdough. 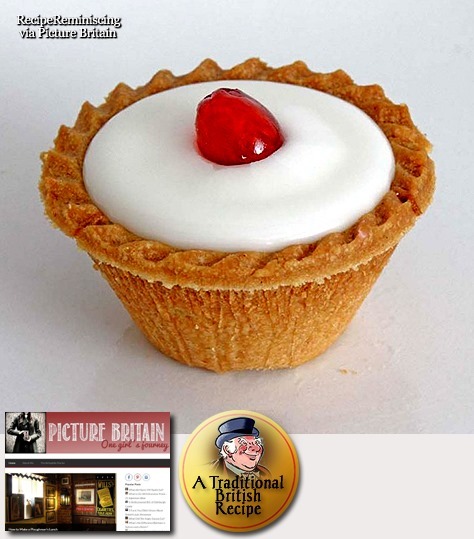 The girl who runs picturebritain writes: The Bakewell Tart (not quite the same as a Bakewell pudding) is a delicious, flaky, buttery, jammy British treat. Simple to make and lovely as one large tart or in individual servings, this sounds like a beautiful dessert or afternoon treat. As far as I can make out, the Bakewell Tart has a rather mysterious past. But the story of its origins that is most widely circulated is that long ago in the town of Bakewell, Derbyshire, the landlady of the White Horse Inn (now the Rutland Arms Hotel) instructed her cook to make a pudding for their guests–an egg mixture (plus a secret ingredient) spread over a pastry crust and covered with jam. The muddleheaded cook messed it up, though, and put the jam on the bottom instead. The landlady was probably pretty miffed, but the guests raved and thus was born the Bakewell Tart in all of its almond and raspberry jam glory. 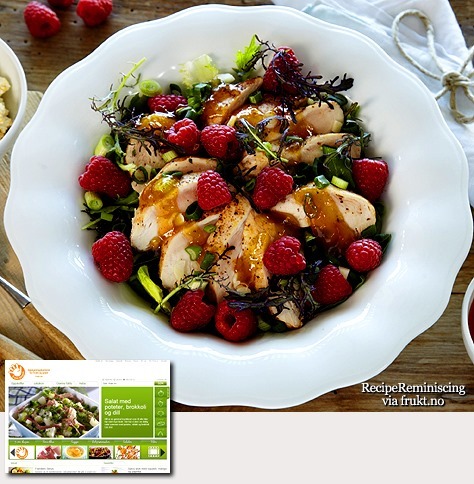 Raspberry, spicy mango chutney and chicken taste wonderful together in this simple salad. Server it for dinner along with some good bread one day you’re in a hurry. We got three kinds of “lapskaus” in Norway; soup lapskaus, light lapskaus and brown lapskaus, all traditional dishes, and the word “lapskaus” does not in any way describe what sort of dishes we’re talking about, it makes no sense at all really, so when I decided to post this post to day I took it upon me to find out where the word comes from. Surprisingly enough “lapskaus” comes from the English “lobscouse”. The origin is uncertain, but probably the word is composed of “lob” meaning lump, and “course” meaning course or dish. 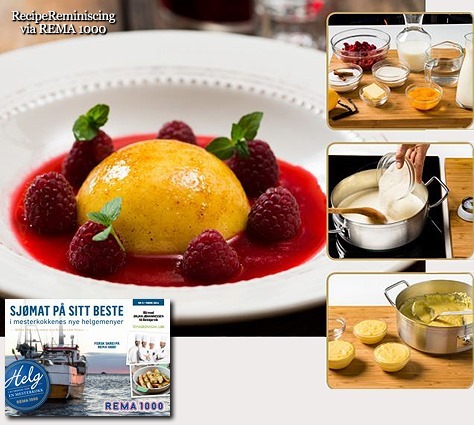 Translated into modern language it simply becomes “lumpy dish”, which is a straightforward enough description of the different Norwegian versions of lapskaus. Honey can be used as a flavour enhancer in almost all cooking where you are considering using sugar. In all kinds of spice cakes honey is particularly suitable. Remember, You need not have a cold to enjoy a spoonful of honey stirred in hot water with lemon, or in hot milk. 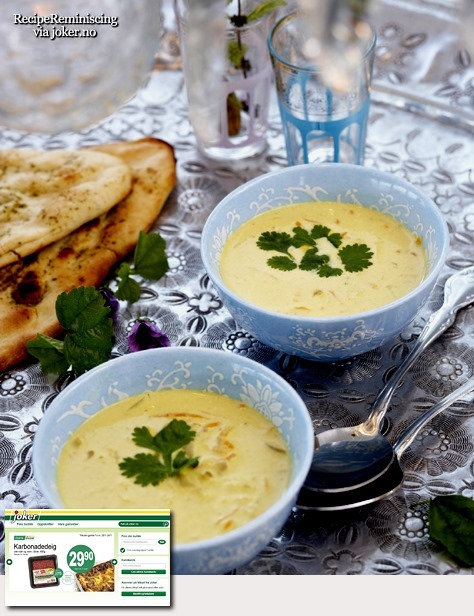 A delicious soup with an exotic touch. A rich, hearty soup you’ll learn to appreciate. 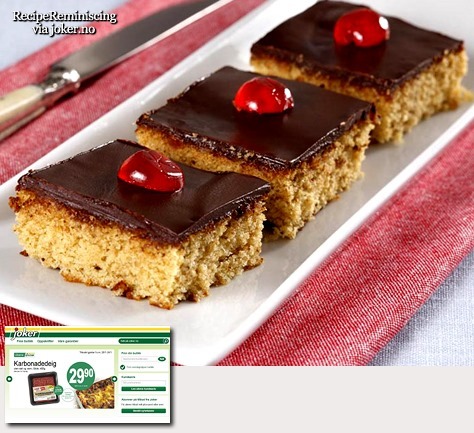 A delicious nut bread that fits any meal. The content of nuts provides a bread with an exciting taste. Excellent accessory for a cheese platter, for a casserole dinner or on its own in the picnic basket.